A couple of years ago, I posted about how one of the Inform Racing subscribers, called Mike, had used the ratings so successfully that he had made £18,000 clear profit over the previous two years. Mike emailed me recently with his updated results, for what is now a full four years of betting, along with his current profits which now total a staggering £32,000! If you consider how most people actually gamble, it is actually far more likely that a loss of that amount will have been made rather than a profit. There is one reason above all that I believe Mike has made this huge amount of money, apart from finding a winning 'system' using only the Inform Racing speed ratings, and that is his rock solid and unbreakable self discipline. You can download his daily and monthly records at the end of this post and you will be able to see how well he has done to go through one or two losing spells, when many and I count myself amongst them, would probably have given up on the idea. However, Mike clearly has full confidence in his method and I should add his staking too and he knows he will turn things around in the long term. Mike has commented in reply to questions on the previous Blog post which you can see here, about how he uses the ratings and quite rightly in my opinion, he has kept his cards close to his chest. But that is until now! Mike reveals his secrets (well almost). I asked Mike if he would reveal just a little of his system and he has kindly offered much more than that. In fact apart from a little discrepancy on his filters, you can now see how Mike finds his bets, how and when he places his bets and even the staking plans he uses. I for one, am a little surprised at just how simple his method is and I think those that have been following his comments over the years, will be too. I have copied Mike's email and explanation below in full, so thanks to Mike for this. Hi Ian – here is the system I use as requested. Ian has asked me to reveal exactly how I go about making long term profits with my system of selecting horses from the Inform Racing website data. Basically, as Ian has already surmised, I first and foremost pick the M+A top rated for each race and then apply filters which whittles the selections down to a few (sometimes no selections), There are three filters in total that I apply – the first filter is that the selection must also have a RED rated number (not necessarily the largest number) in one of the other columns as read horizontally along from the M+A selection. Now I’m not giving away which column I use, but I really don’t think that it matters too much as whichever other column is chosen, the long term results will, I’m sure, be similar. The other column doesn’t have to be top rated in that particular column, but it just needs to have a RED number in that box (as opposed to a number in black) along the same row as the M+A column. The 2nd filter that I apply is that there must be AT LEAST a minimum of 5 runners in the race. 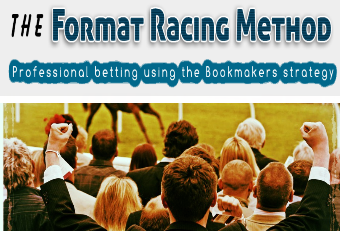 If subsequently runners are pulled out after you’ve placed the bet, then so be it – you can’t do anything about that! The 3rd and final filter is probably the most important in my view – only choose the horse if the oddschecker price THE EVENING BEFORE is 5/1 or greater. Over the years my experience with my selections is that generally (but not always) the SP prices are half of what they were 20 hours previously! Now, there are 2 sections to my betting system, BOTH of which are independently profitable in their own right. I back my filtered selections individually as single bets (each way if the price the night before is 14/1 or greater). I also back them in multiple bets depending on how many selections there are for that day. If there are 6 selections, then it’s an each way Lucky 63 (must be each way – for example I had 6 placed from 6 selections the other day and won nearly a grand with not a single winner!). If there are only 5 selections, then it’s an each way Lucky 31, 4 selections, an each way Lucky 15, 3 selections an each way patent, 2 selections an each way double. If there are MORE than 6 selections on the day, then it’s only the 6 highest priced selections that get into the each way Lucky 63 – the remaining horses are just backed singly. 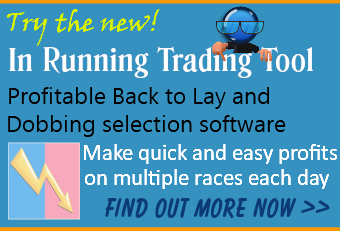 In my view, DON’T be tempted to do a multiple bet on the remaining lower priced selections – just back them singly. For me, it just seems that the higher priced selections win just as often as the lower priced ones. You could if you so wished increase the minimum 5/1 filter to, say, 8/1. That could turn out to be even more profitable and also it would reduce the number of daily selections. So, that's basically it really. As I say, I don't think it's too critical which column you utilise alongside the M+A selection. I've chosen one that I think is suitable and as you can see that works just fine, but whatever 2nd column you choose I'm sure will be just as (if not more) profitable in the long run. I must emphasise IN THE LONG RUN, as you'll find that you'll experience VERY long losing runs occasionally throughout the year. But I stick with it because it always eventually turns around in your favour - which is why using a similar method as above you will become one of the very few INVESTORS in this business and not a GAMBLER. Good luck to anyone patient enough to have a go - I can pretty much guarantee that you'll make a profit every year following this system RELIGIOUSLY with no wavering. You certainly won't make a profit every month. Also, don't miss a day, because sods law says that the day you forgot to do it will be the day that that Lucky 63 comes in with 6 good priced winners with up to a £1,000,000 return! Mike has also very kindly sent me the full four years daily and monthly profit/loss spreadsheets and whilst this doesn't include the actual selections, it does give a good insight into the mind of someone who is confident in their approach and bets with a discipline that deserves to be rewarded. You can right click the links below and save the spreadsheets to your computer to take a look at the highs and lows and then the very, very highs of Mike's journey. One thing that struck me straight away looking at the daily results is the period between June and July 2015, very early on in Mikes' use of the system. By June 3rd in his first year, Mike was up over £500 but by 22nd June and then again on 10th July, the bank had gone into the red, eventually to the tune of over £200. I am pretty sure that many would have decided that after six months of betting, with the bank not showing any profit, it would probably be time to look for another idea. However, Mike had enough confidence in the speed ratings and his particular system to carry on and he definitely made the right decision, because on July 13th Mike made over £700 and then just over one week later Mike collected a massive £2,748.38! From that point he then continued in profit and ended up with his huge haul of winnings! A massive thanks to Mike for revealing his method and allowing me to post his results spreadsheets too. I am sure if you have any questions Mike will be happy to answer these if you post on the Comments section below this Blog post. I have used the term K.I.S.S a number of times on my posts before and for those who don't know, it means Keep It Simple Stupid, referring to the fact that you don't have to over analyse things when it comes to your betting. Well Mike has proven here that whilst he has certainly taken a simple route to his huge profits, he is definitely not stupid! Here's to the next £32,000 Mike and thanks again. 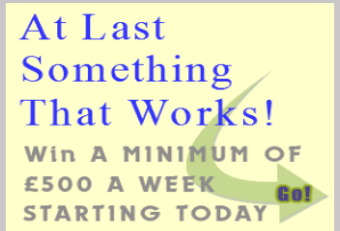 If you are a member you can now follow Mike's simple system everyday and who knows where your profits could be in four years time? If you are not a current subscriber but would like to be, then just hit the link below now.